This pair of spirited siblings is looking for their forever home! Dulce (long stripe) and Butterscotch (short stripe) are still getting used to the bonded life but seem to be enjoying so far. They are a lively pair who need lots of chews and plenty of toys. (The more the better!) They would love a home that can provide them with plenty of petting time! 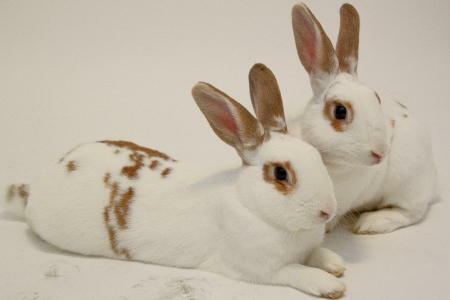 They would like an adopter who is looking for a pair of very charismatic personalities. We're currently being housed at Courtesy waiting to be adopted.